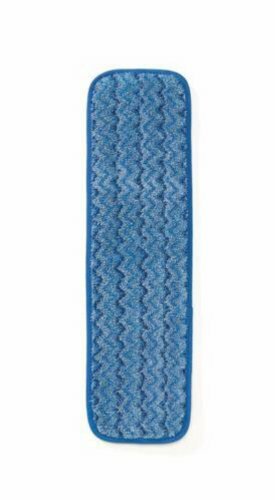 Rubbermaid HYGEN 18" Microfiber Mops ( PAD, MOP, MICROFIBER, ULTRA-FINE, 11",BLUE ) 6 Each / Case. Rubbermaid HYGENâ"¢ microfiber mop heads are highly absorbent. Available with fringe and in an ultra-fine microfiber.Rubbermaid products are nationally licensed for sale and carry a limited lifetime warranty. Please visit manufacturers website for further details.